I believe one of the successes to my training program is the variety I include in my workouts. One day I’ll go on a long, leisurely bike ride. A few days later, I’m pounding out short sprints. I mix in yoga, kickboxing, kettlebells, rock climbing, pilates, etc. You name it, I do it or at least try it. Variety is also the key to well rounded fitness results so add some variety in your workouts and watch your body reap the benefits. One way to achieve variety is by switching up the equipment you normally use. Do you usually lift with dumbbells? Switch it up with a kettlebell workout. I love to incorporate the good old medicine ball in my lifting routines every once in awhile for some added challenge and variety. The medicine ball is a powerful tool for fat burning and getting rock solid, 6 pack abs. Medicine ball exercises use a wide range of motions, which require more muscle fibers being used. More muscle fiber recruitment equals faster fat burning and increased muscle building. Also, because of the high level of trunk rotations, medicine ball workouts are especially good for core strength and stability. When working out with a medicine ball, you will work every area of your core, which is something you cannot achieve through typical crunches. 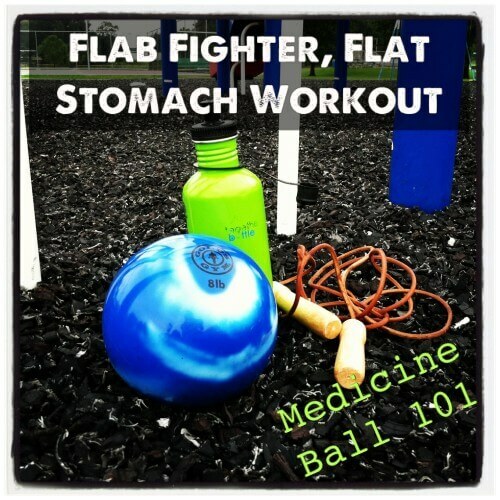 *Four to fifteen pounds are the most common weights for medicine balls and finding one in that weight range is a good guideline for this flab fighter, flat stomach workout. 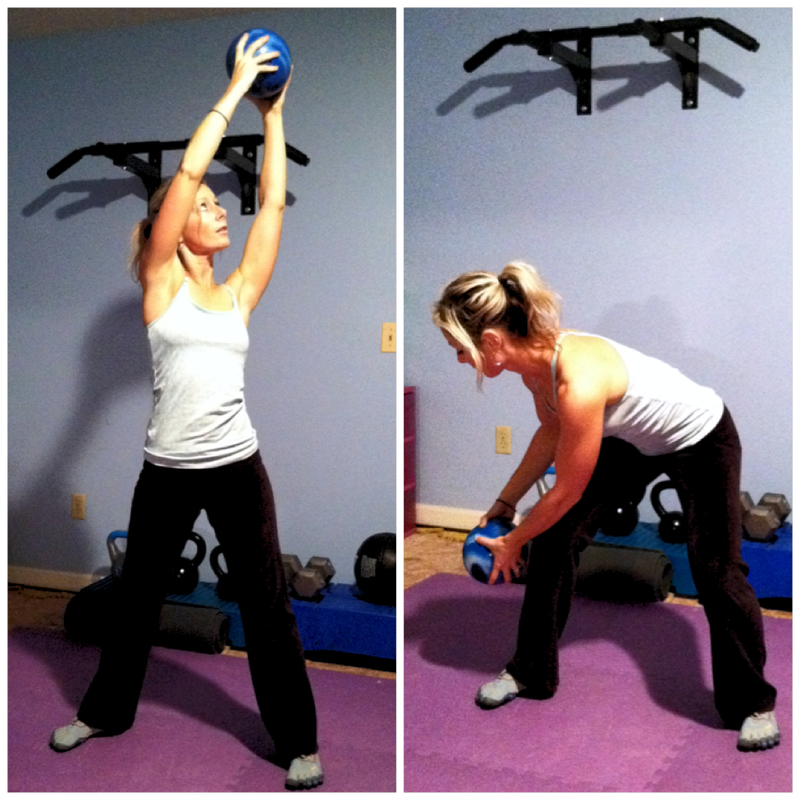 If you cannot complete the 10 reps with your weight medicine ball, you need a lighter one. If 10 reps is easy, you need to go heavier. Remember, it should be a challenge! Do this routine in a circuit which means you do the first exercise and then keep moving on to the next until you’ve reached the end. Then it’s time to repeat! 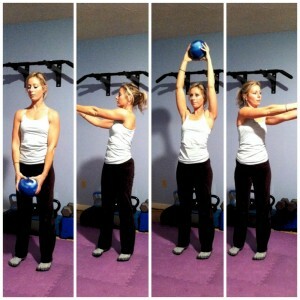 Grab a medicine ball and stand with your feet about shoulder width apart. Lift your arms overhead. Keep your arms overhead through the duration of the exercise. Step forward with your left leg and lower into a lunge. You left thigh should be parallel to the ground. Twist from your waist as far as you can to the right. Make sure to keep your hips facing forward as you twist your upper body. Step up and repeat with your other leg. That’s 1 rep. Hold a medicine ball with both hands above your right shoulder and rotate your torso to the right. Keep your core braced and your arms straight. 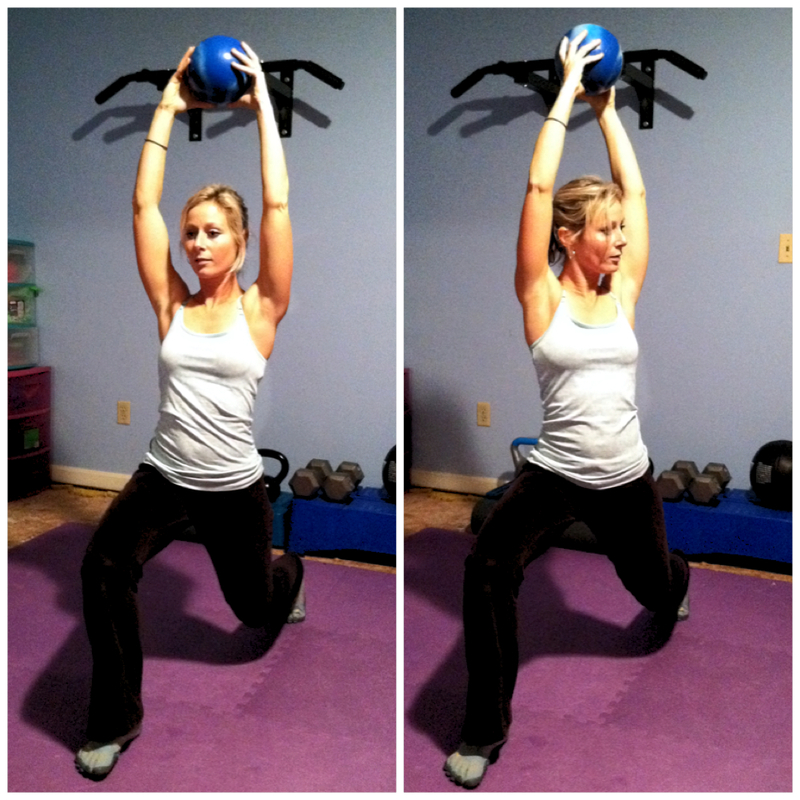 Swing the medicine ball down and to the outside of your left knee by rotating to the left and bending at your hips. Make sure to not round your lower back. Reverse the movement and return to the starting position. Complete the prescribed number of reps toward your left side and then do the same number on the other side. Get in a pushup position with your left hand on top of the medicine ball and your right hand on the floor. Lower yourself until your chest is as close to the floor as possible. Press back up until your arms are fully extended. Roll the ball to your right, then quickly place your weight on your left hand and place your right hand on top of the ball. Do another pushup, then roll the ball back to the left. Modified version: Instead of performing the exercise with your legs straight, bend your knees in a modified pushup position. Holding a medicine ball about at chest level, get into a squat position by pushing your hips back, bending your knees, and lowering your body until the tops of your thighs are parallel to the floor. In an explosive movement, drive your heels into the floor as you extend your arms overhead and throw the medicine ball in the air. As you catch the ball, reverse all the movements and lower back into a squat. 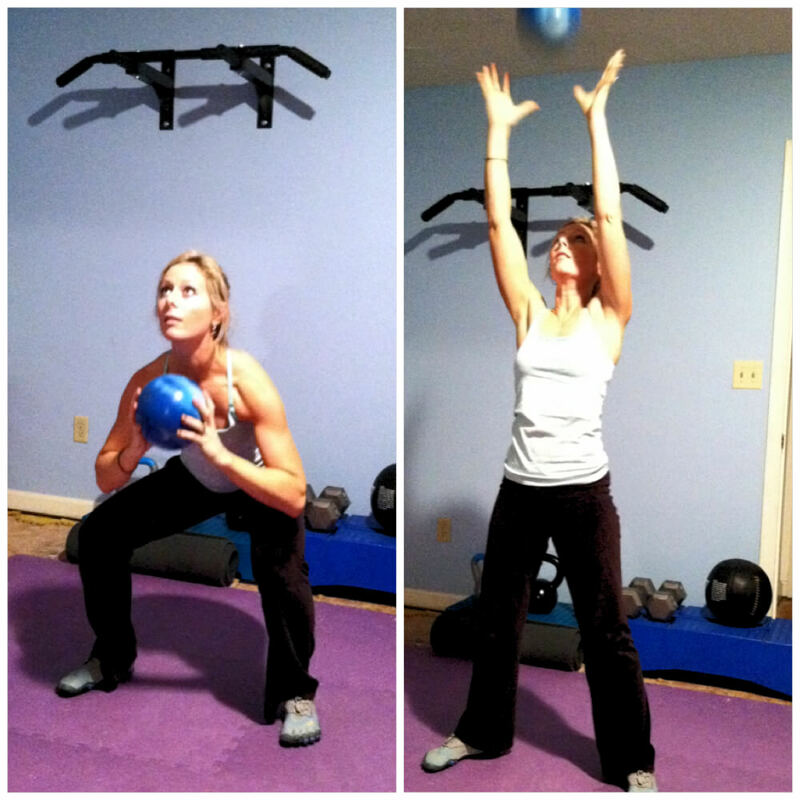 Modified version: Instead of throwing and catching the medicine ball, simply press the ball overhead. Stand with your feet about shoulder width apart and hold the ball. Without bending your elbows, rotate your arms counterclockwise, using the ball to draw large imaginary circles in front of your body. After completing the prescribed reps, repeat the circles in the other direction. 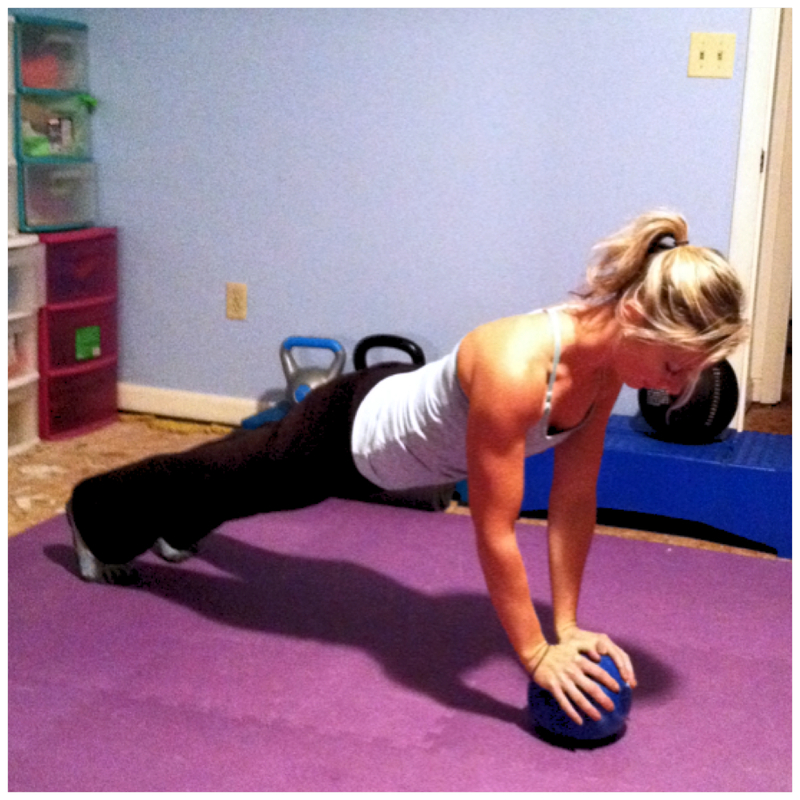 Get into a pushup position and place both hands on top of a medicine ball. Make sure to brace your core and keep your body straight. Remember to breathe deeply while you are holding this position. Modified version: If you can’t hold the plank for the prescribed time, hold for 5-10 seconds, rest for 5 seconds and repeat as many times as needed to total the prescribed time. You may also do the plank on your knees. 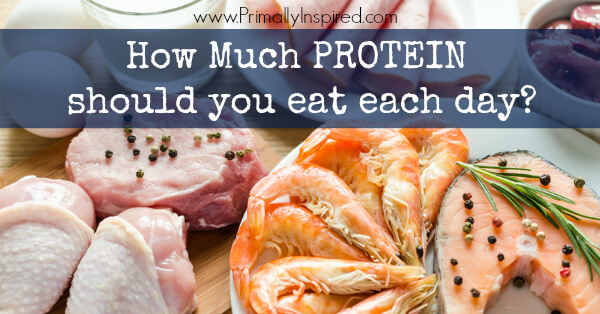 How Much Protein Should You Eat Each Day? 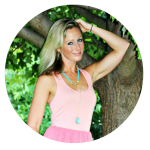 Are you considering joining the Intermittent fasting bandwagon? Brad Shepherd, co-owner of Fooduciary, gives us the low-down on intermittent fasting and why it may not be right for you. This was way harder than it looks. I did it last night at the gym and it was awesome. Those rolling pushups got me good! Hate to admit it, but I had to do the modified pushup version on my last circuit and I’m no sissy at the gym lol It was tough! Thanks! 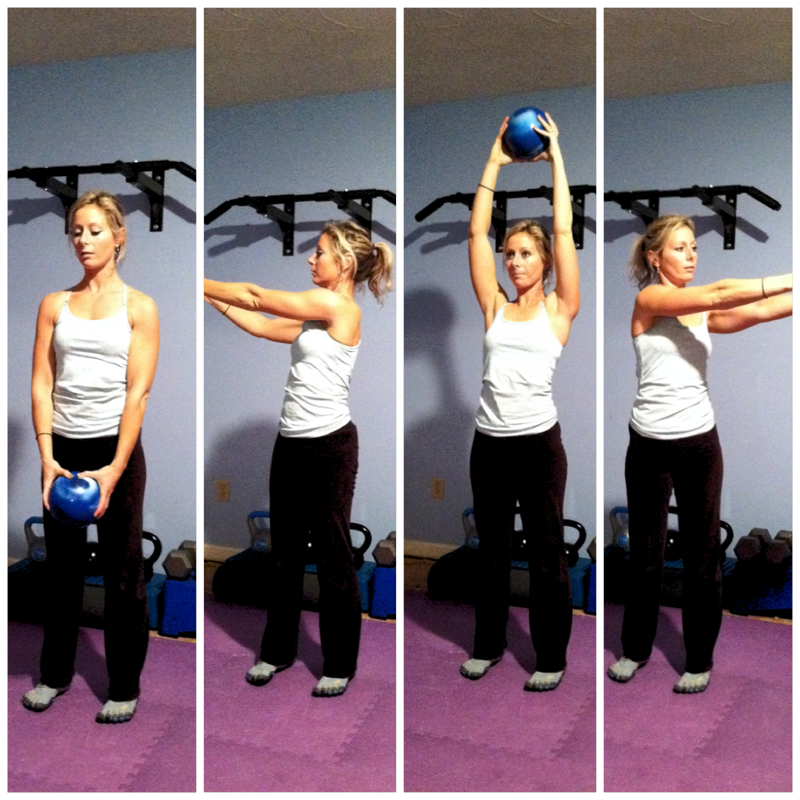 I love working out with a medicine ball and this is a great workout. Thanks for your fitness posts. I’ve really been enjoying following them. 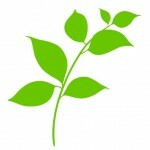 I just want to tell you that I am all new to blogs and really liked your web blog. Very likely I’m likely to bookmark your blog post . You certainly come with tremendous articles. Thanks a bunch for sharing with us your webpage. 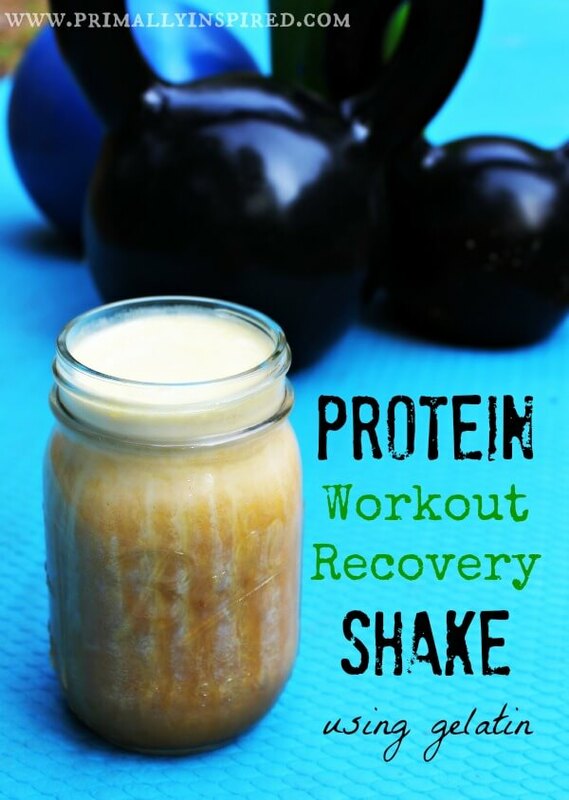 I have been enjoying and doing all your workouts, but this one is my favorite! I always look forward to your tuesday workouts and I thank you for posting them! I really like this workout. Thanks! this was so tough but really fun! a lot of these were new exercises for me so i really felt it all over. the arm circles were definitely the hardest. i was surprised how quickly my heart rate went up since this isn’t really cardio. Thanks for the variety! I actually don’t have a medicine ball (yet) so I just used 2-8 pound dumb bells, held together. So the rolling pushups and the plank were the least accommodating (or actually the MOST accommodating if I wanted any easier workout – haha). So I’ll be buying a 15 pound medicine ball. 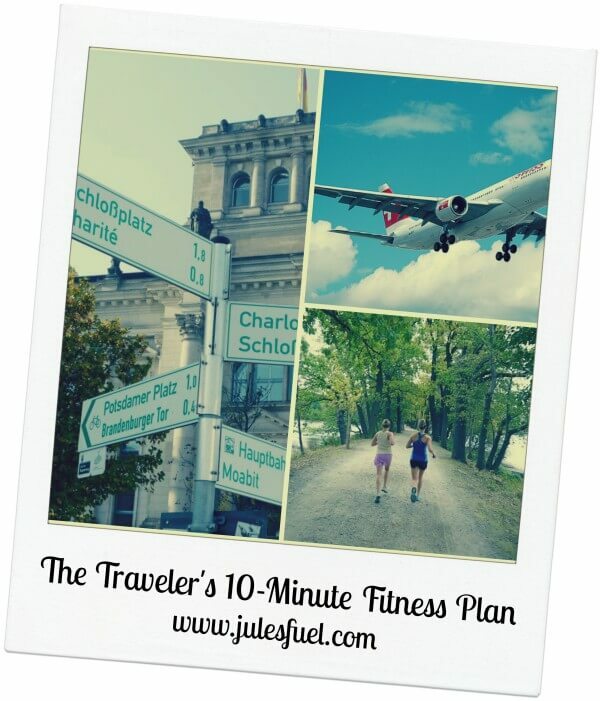 You have great workouts posted, thanks again!